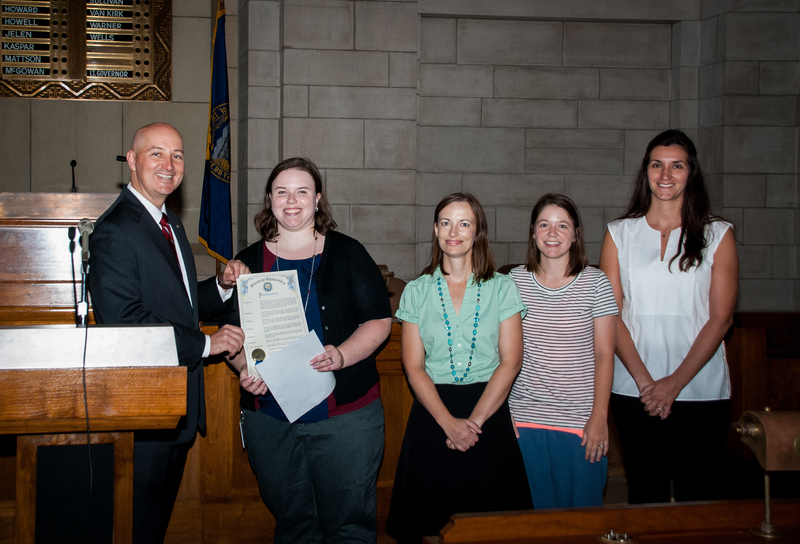 Governor Pete Ricketts proclaims September 2015 as Nebraska Archaeology Month! 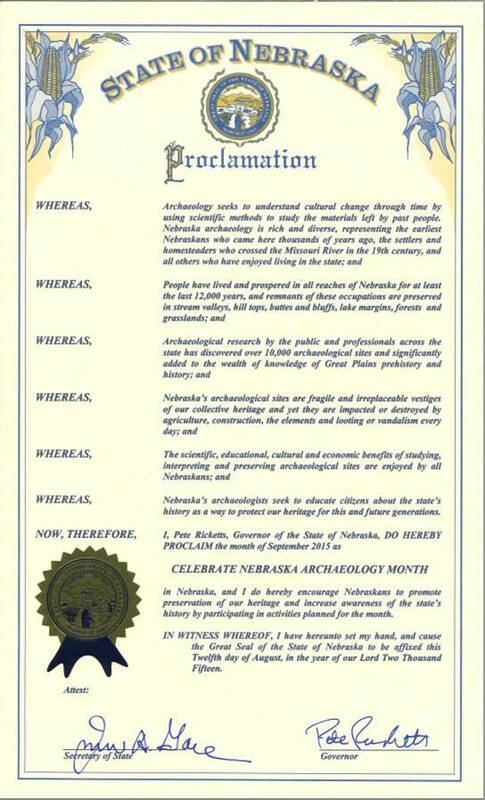 On Wednesday, August 10, Governor Pete Ricketts officially proclaimed the month of September 2015 as Celebrate Nebraska Archaeology Month! 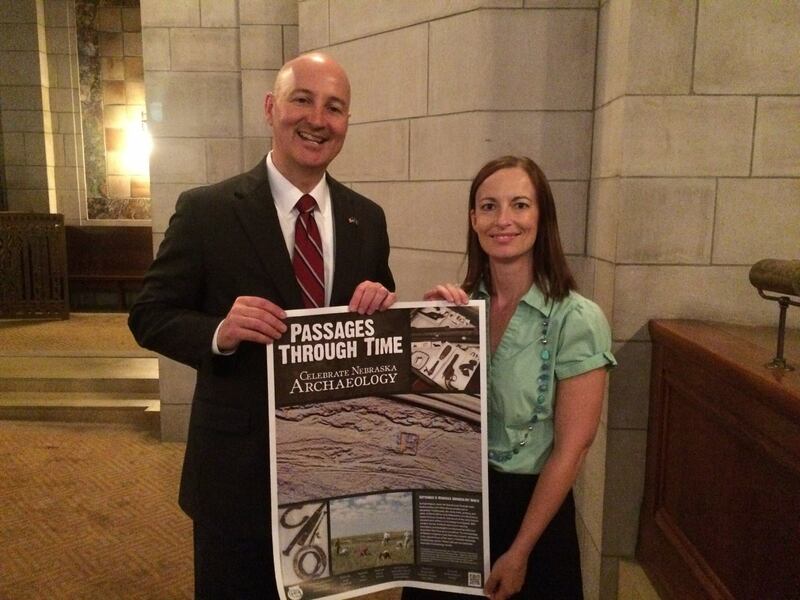 Archaeologists from the Midwest Archeological Center and the Nebraska State Historical Society attended the proclamation signing ceremony, and were able to distribute Nebraska Archaeology Month posters to the Governor and to each of our state senator’s offices in the Capitol Building. As the proclamation states, we encourage everyone to promote preservation of our heritage and increase awareness of the state’s history by participating in activities planned for the month! Check out the 2015 Events page to find events happening in your area!